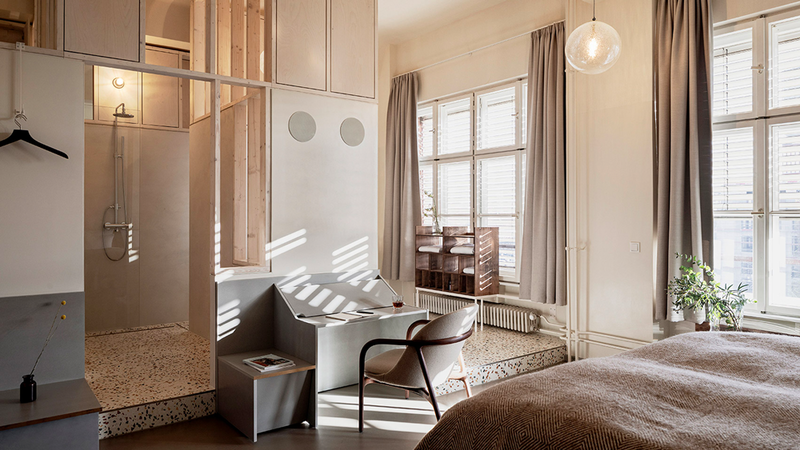 I came across this gorgeous suite at the recently renovated Michelberger hotel in Berlin. 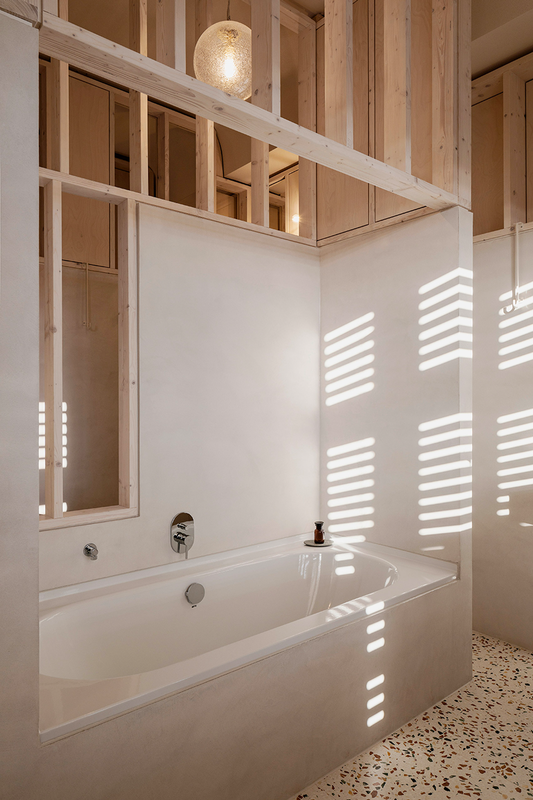 London-based Jonathan Tuckey Design and Danish architect Sigurd Larsen are the creative minds behind the new look. 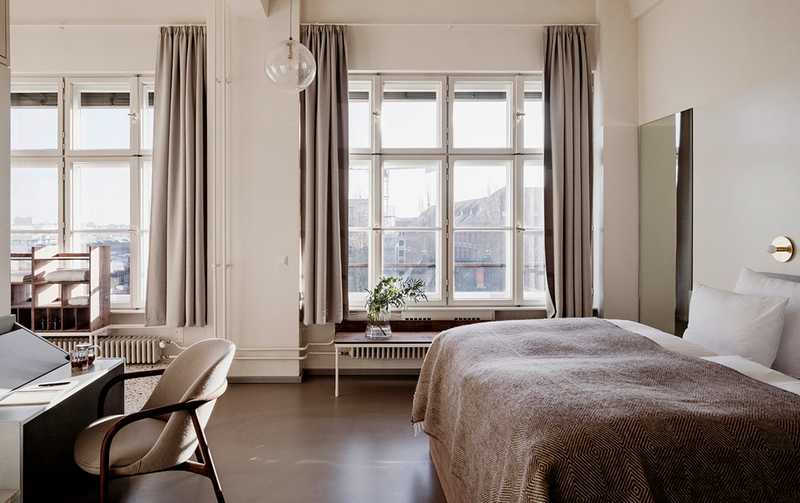 I am very inspired by the layered palette of earthy tones and the pared-down style. It is minimal yet warm and characterful. There is also a slight vintage vibe that is a perfect fit for the industrial setting. 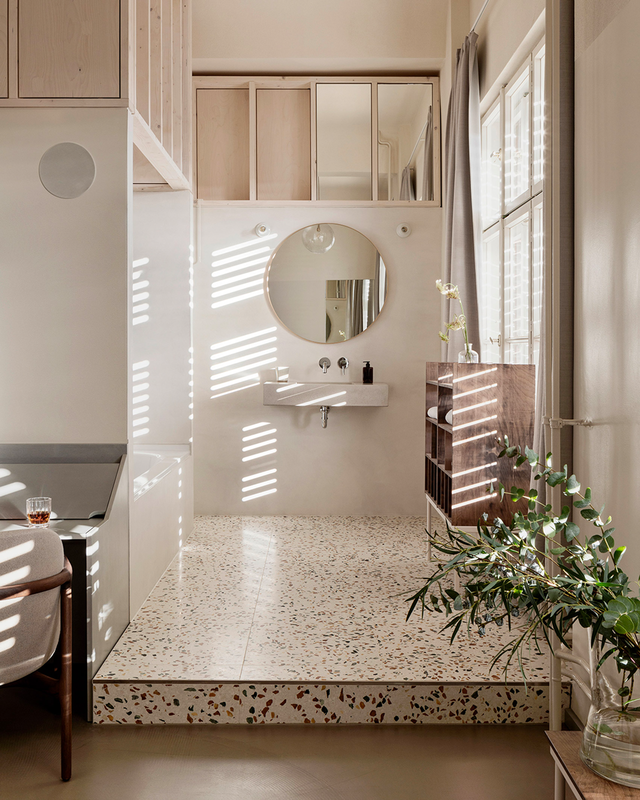 I love the terrazzo tiles in the bathroom; I am not over this amazing material just yet – Are you? Below, I tell you how to recreate this serene look at home. I created the visual below so you can pin now and save the look for later!